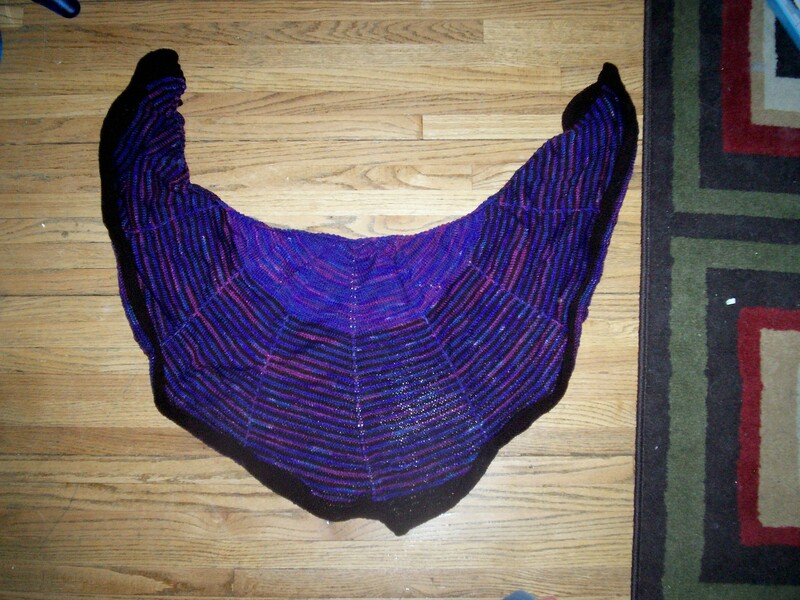 Here are the front peices laid out, the yarn self stripes and it looks way cooler in person (forgive my five year old camera) I’ll try and get an action shot once the back is ready, until then you’ll just have to work with me. In other news mah Mom wants a scarf, a springy scarf to go with her new leather jacket. And because it’s my mom, and I love my mom, shes getting ……. See that tag kids? Thats right Momma’s getting the Wollmeise. The yummy yummy goodness. In colorway Turkis, and I’m doing the drop stitch scarf from the Spring/Summer 2010 Vogue Knitting (yes I know the gauge and the yardage will change with the differing yarn I have already thought of that). I also think I’ve decided to frog the esther sock and start a different pattern, I’m just not digging it for class knitting. Oh well. Rip it Rip it. The royal approval of her highness the mistress of P.
Often when I am posting to this knitterly blog I am not alone. I generally have portions of the menagery of pets with me, Bebop at my feet, occasionally Beatle in my lap, but the most present of all is Peatrie. See Peatrie? She was sitting on the armrest of the computer chair there, a perch she is fond of (if she isn’t kitty loaf-ing it across the top of the back of the chair). 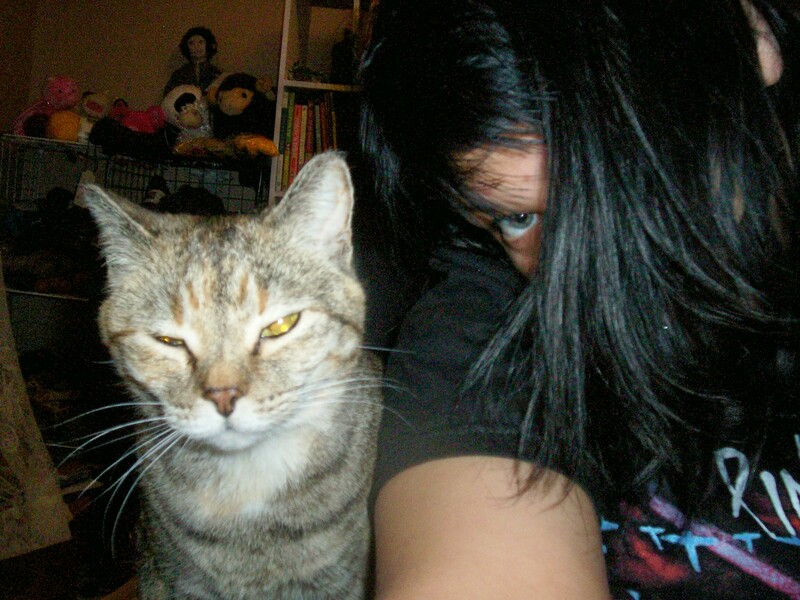 It’s hard to catch the picture of Miss P. when she doesn’t want it but I managed to get this shot (pardon my emo hair). She just wanted everyone to know she’s here. The colors seem drastically different in the pictures but they blend rather well in person. 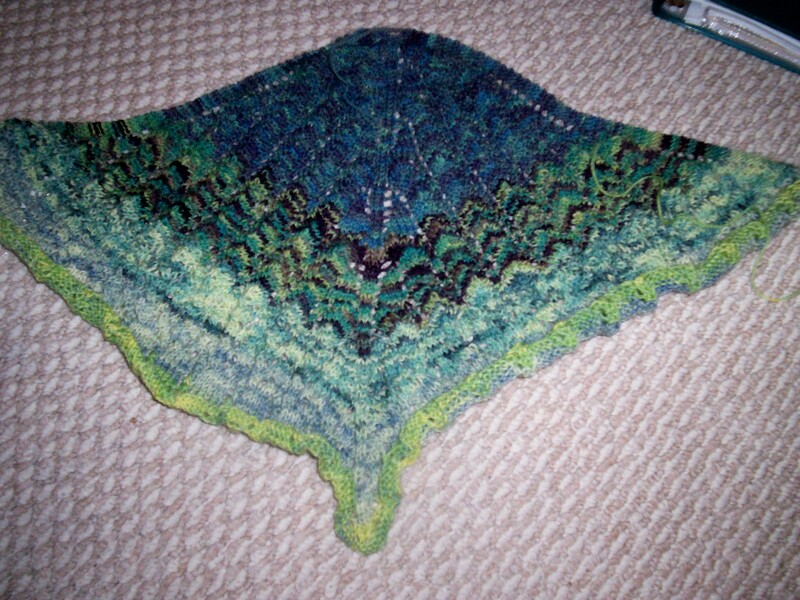 I also am blocking daylight and citron but failed to take decent pictures of them, I have also decided that blocking three shawls at the same time in my house is rediculous and should never be done again, two shawl maximum. 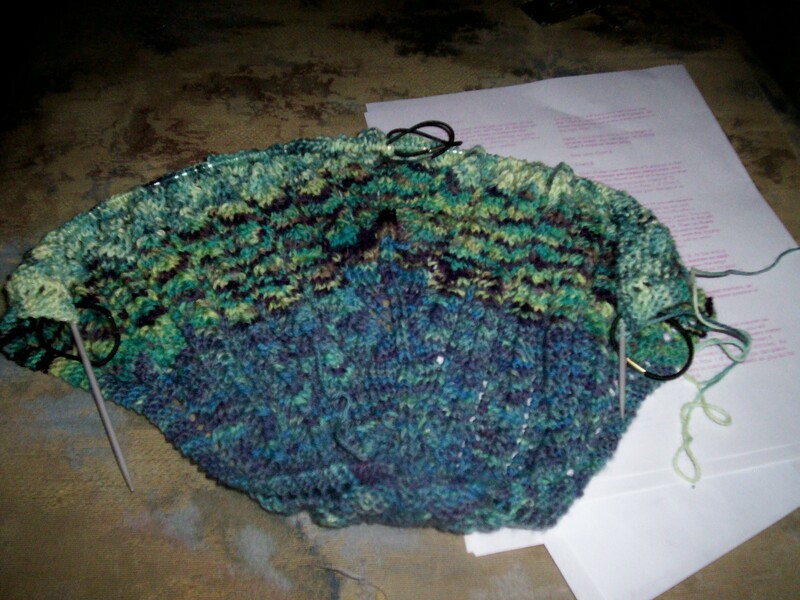 The weekend sweater which was frogged back into oblivion is progressing nicely, I shall take a picture once I’ve finished both front peices. 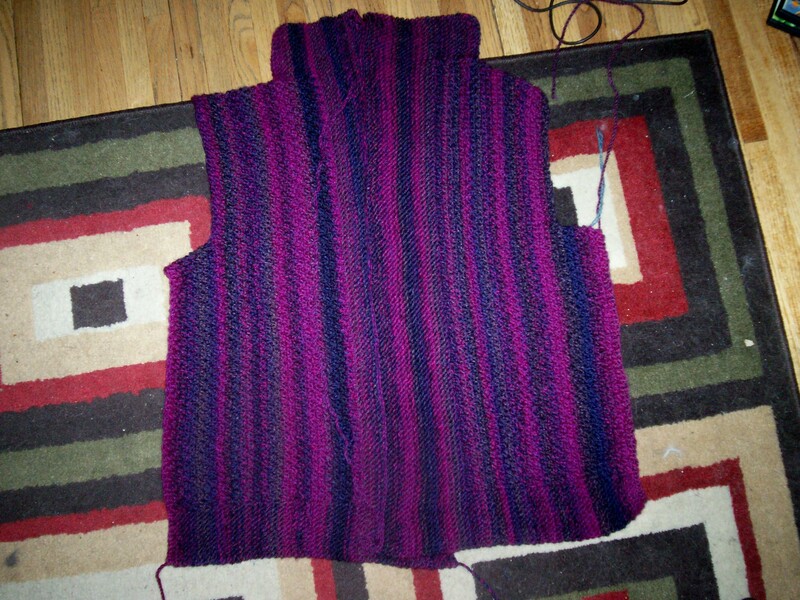 Currently I’m on the left front half and have 3.5 inches of garter left to do before the bind off. It’s fast and easy and the yarn is so chunky that it’s really just zipping along. I finished the school socks, they are adorable, I cast on the Esther socks in Cascade Heritage this week, I may very well only plunk out two pairs this semester which seems weird, but so it goes. Classes are definatly what they are. There’s a lot more work to being a TA and the idea of having to teach is scary, hopefully I do it well, I can’t really screw up for the 100 level class, and I have to present my book review to a 300 level class. Life is busy, and there seems to be a never ending cycle of paperwork in my vicinity, but this is the choice I made, and so far I’m still happy so I’ll take the money and run even if it does mean I have less of an internet presence. 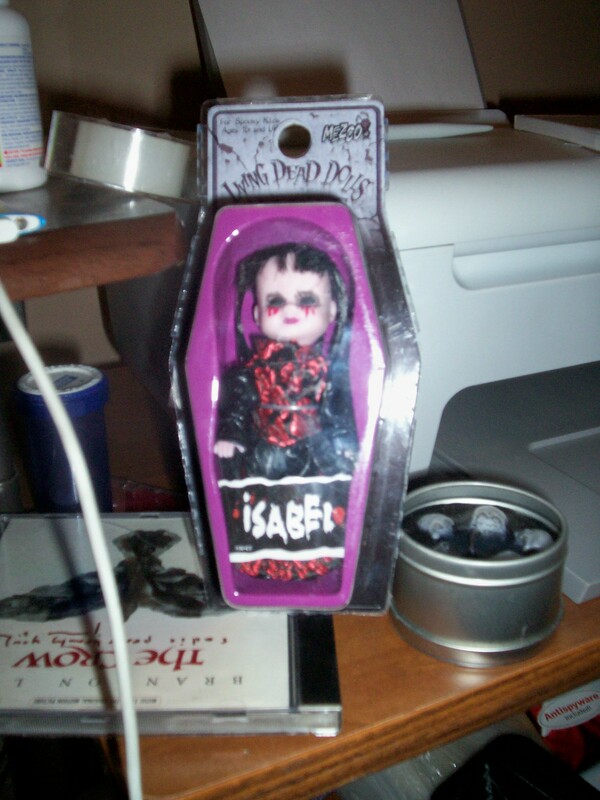 It’s the isabel Living Dead Dolls mini. I think I shall (until I am rich beyond belief) always be unimpressed with myself for not having picked up Sadie when I could have. That and the fact that they don’t make the Sadie shirt in my size, it actually seems wrong. Dude that’s my name, I deserve to be able to wear the shirt. And so I must start again. I have highlited in the pattern where I messed up so I don’t commit the same error. Here’s to hope. 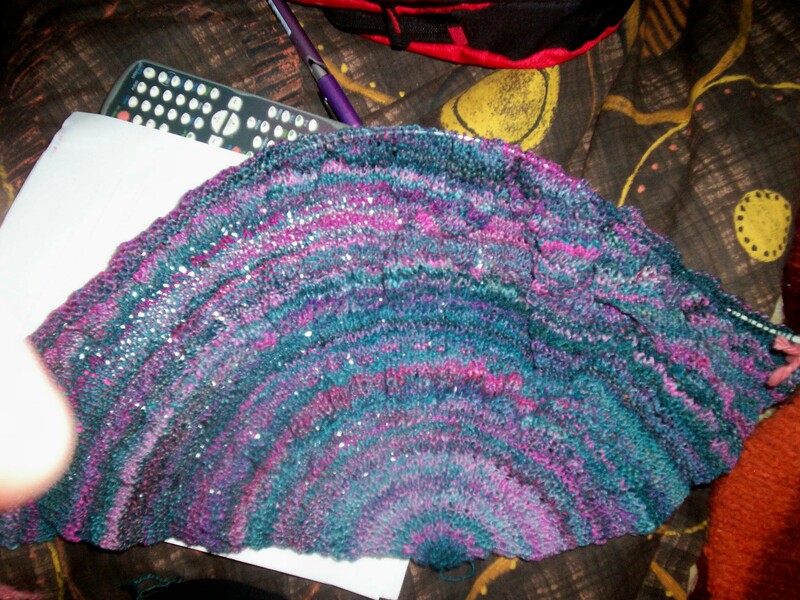 I finished the Shawlette last night two skeins shy of using up all of the December Intentions Yarn shipment. Here it is in all it’s unblocked glory. Clearly with the propogation of things that need to be blocked I should a) clean my house so I can vaccume the rug and then b) have a blocking extravaganza in the livingroom. Which sounds like a great idea, and probably will be, now that the paper of impending doom is done. I should be writing my paper… I should and yet I think if I typed one more word about the ‘objective-self’ or PET scans I would want to run screaming off a cliff (and in this flat land a cliff is not the easiest thing to find). 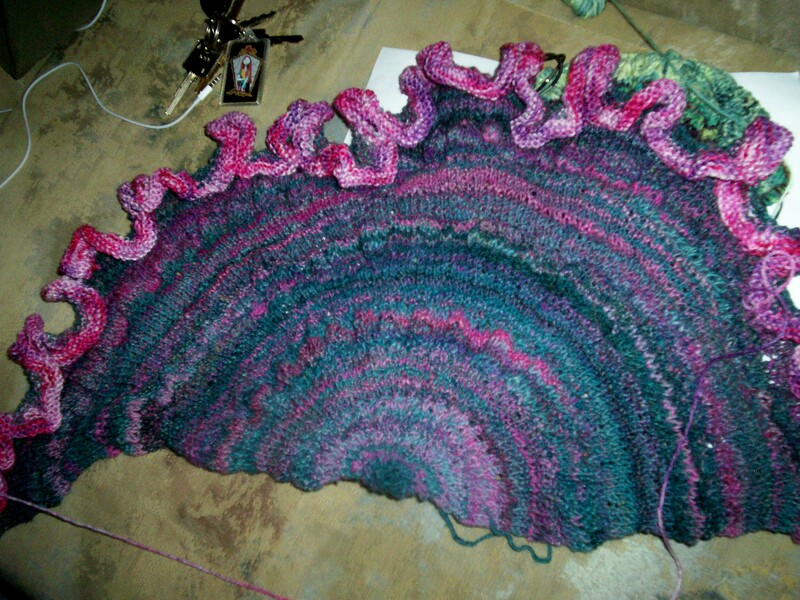 I have been knitting dutifully (if a bit less since the whole paper thing) on the Shawl (which my poor readers I horribly mangled in the last post, it’s the Argus Shawlette by Wendy, Rav link: http://www.ravelry.com/patterns/library/argus-shawlette) and it’s knitting up quite quickly as I’m on the last repeat but may not use all of the yarn from the december shipment, either way, it’s coming along slow and steady. 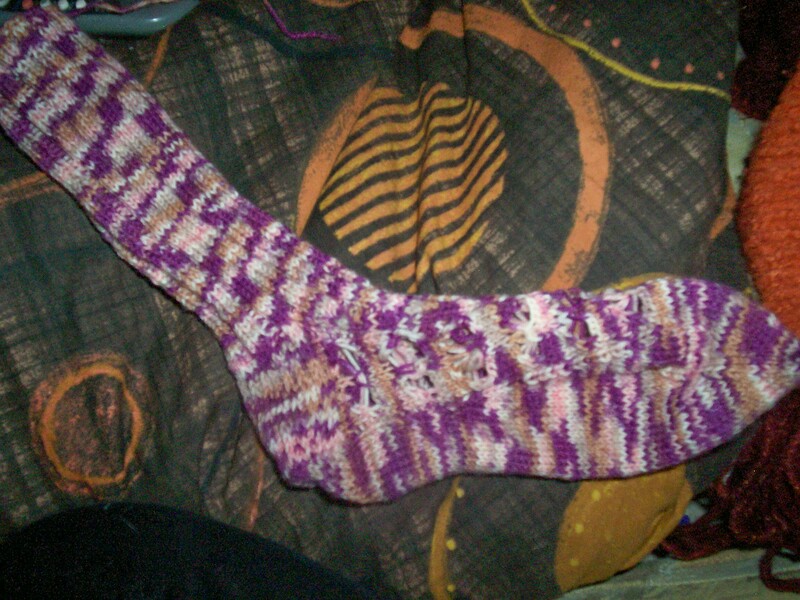 It was done in cherry tree hill supersock and wollmeise (ebenholtz). I totally adore it and will probably wear the crap out of it once I have blocked it. 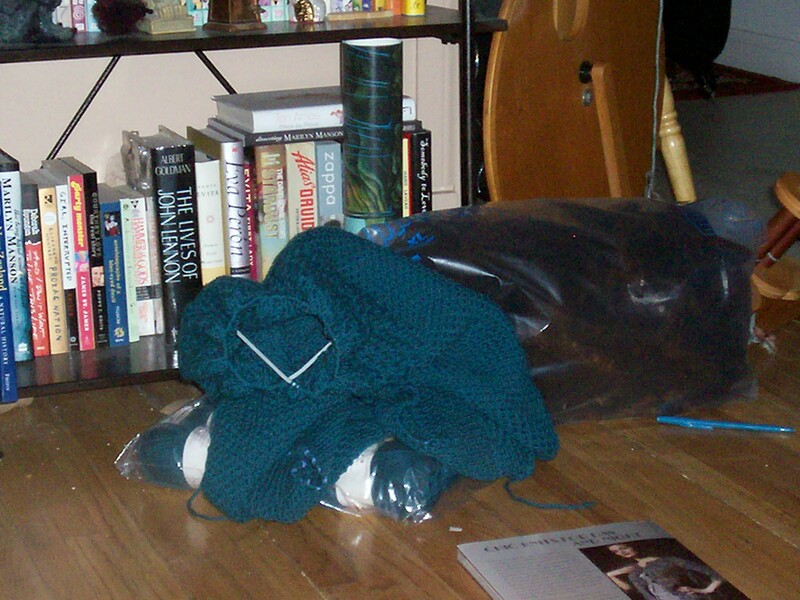 Blocking will probably occur over the weekend, but right now, I can’t even begin to ruminate on blocking. In other news, news that kind of pertains to knitting but only in a peripheral kind of way, I want to talk about soap. Yes soap. Not just soap but laundry soap (see you wash knitting, albeit not nessesarily in a washing machine but whatever). It is only recently I have noticed that I notice the smell of clothes more. Not in a bad way, but I have noticed that mom’s blankets smell a whole lot more than the stuff I wash at home. They smell clean, in that chemical tide/bounce/febreeze combo kind of way that makes your nose burn. 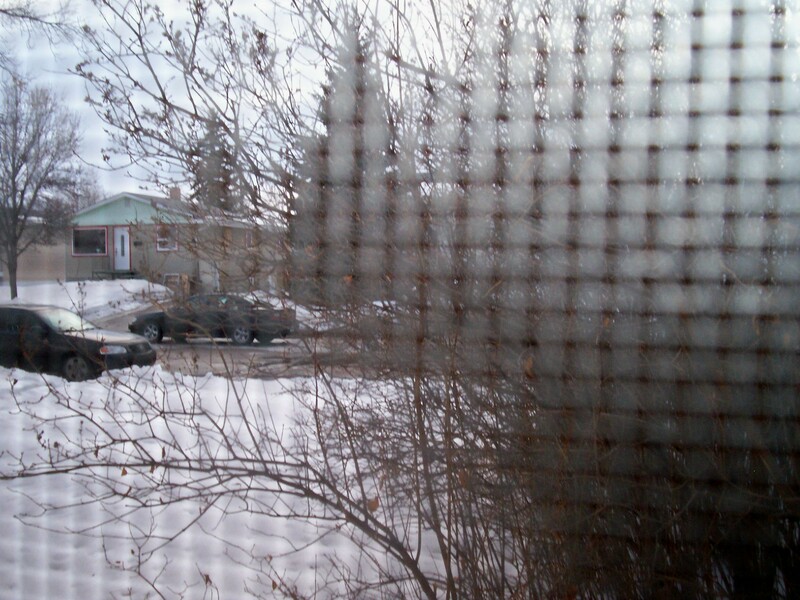 I agknowledge there are people out there to whom that smell = clean. In fact if the smell wasn’t there I think lots of people would be angry, as we as a culture have become accustomed to the marketing worlds crys of “Clean smells”. Now of corse clean smells different for everyone (Tide, gain, bounce, clorox) I even participate in this sham of clean has a smell, if my batheroom doesn’t smell of bleach and artifical lemons (dispite giving me a rank headache) I don’t think it IS actually clean. But I digress. Laundry. I have a hate, and very rarely love relationship with laundry. I don’t like doing laundry, but being a single person there is no one around to trade that option off with, so I do the laundry. 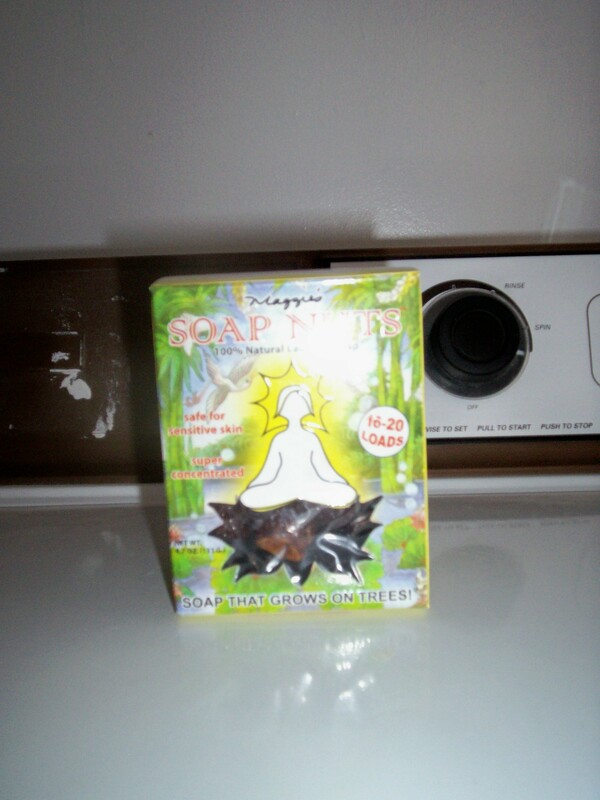 At agribition I saw soap nuts, I had been looking to get some to try out for ages. The premise being you put these nuts into a cotton bag (provided with the nuts) and throw them in the wash volia (a little vinegar if you want softening). I have been useing soap nuts since agribition, and quite frankly reveling in the scentlessness. Until I lost my baggie. I lost the little cotton drawstring baggie that goes along with the nuts, and being not one for wasting or stopping when I actually care enough to throw a load in (read: was in need of pants), I grabbed the purex or whatever cheer maybe, and threw some of that in with a load. When I grabbed the load that was in the dryer to fold, out popped my little soap nut baggie, and I was faced with a dilemma. Do I continue the cheer washed stuff through to the dryer etc, or rewash with the soapnuts? I went through to the dryer, and subsiquently discovered that whatever was in that blue bottle was quite the smeller, in fact my pants so annoyed me I had to take them off (three cheers for being at home and writing papers, I doubt stripping in public is acceptable). They are now being rewashed, so I won’t have to sit around and smell my pants. What’s my point (do i have a point or did I just want to use nuts in a post a million times)? This whole ‘clean has a smell’ idea needs to go. My clothes are clean, and they don’t give me a headache, and I’m down with that. I understand the need to have some kind of olefactory barometer for clean (cat litter smells better scoop it) but really, I can assure the people of the world, clean does not smell of febreeze, perhaps the universe needs to lay off the commercials. And in keeping with soap nuts and knitting, you can wash your woolies with soap nuts, just make a tea out of them (as described on the box) and volia. 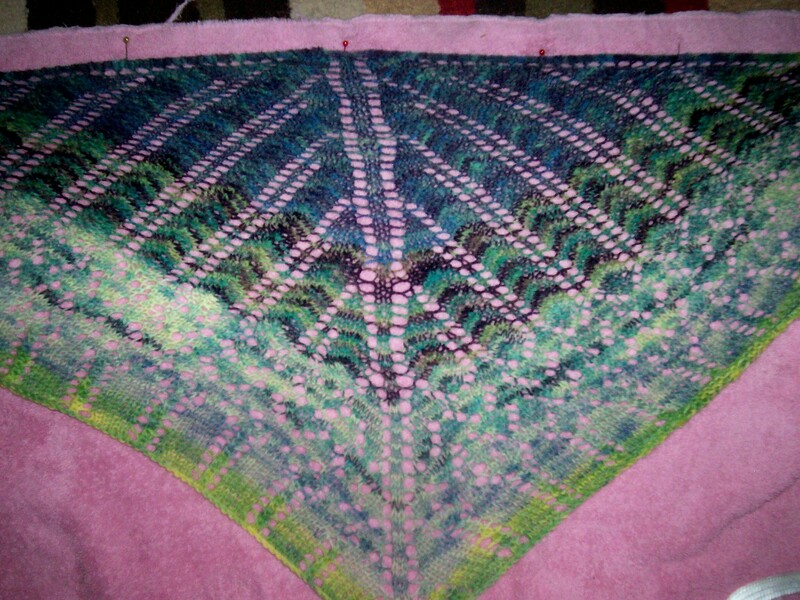 It still needs to be blocked but I think the colours look good. Since I finished the Citron I had little shame when I cast on the Agean Sea (By Wendy knits, I may have gotten the pattern name wrong) out of the December shipment of the Intentions Yarn. 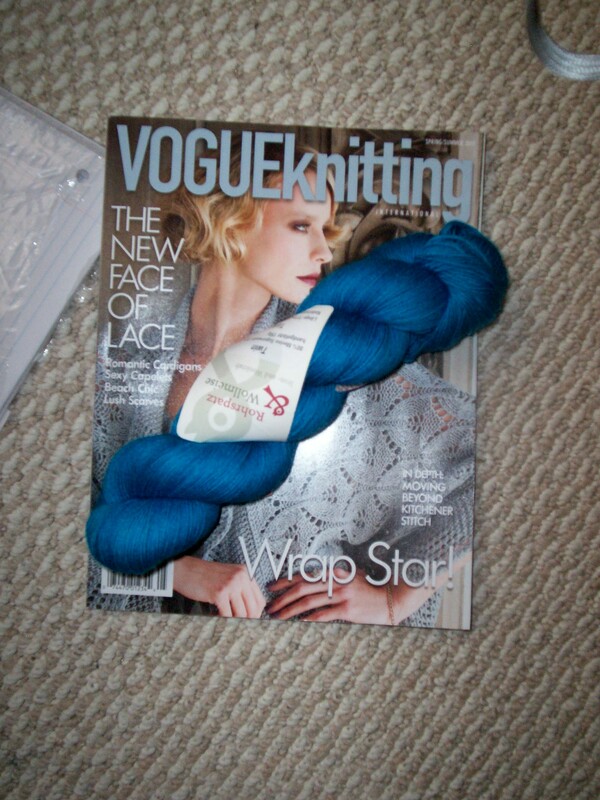 I’m on my third mini skien. Well I thought I would reward myself (or possibly whomever reads this blog) after I finished chapter four in the book I have to have read a.s.a.p. and write an update. I wish I had more to report, however it does seem like I have a few things to say. This is the first of a pair (the second is at the heel turn stage) of Kai-Mei by Cookie A out of her Sock Innovation book. I’m doing them out of some Opal that classic workhorse yarn. While I totally dig the ribbing for mindless class knitting I confess I get a bit flummoxed when it comes to the patterned moving instep and I have to try to take notes. I won’t re-show you Hedgie, but he was finished hours before Team Canada took the Gold in hockey for the second time (and my chest puffed at the idea of us taking the two hockey golds). I’m almost done my handspun Citron, the ruffle at the bottom is going to be out of commercial yarn as I am fast running out of the handspun so it will look visually interesting when it’s done. 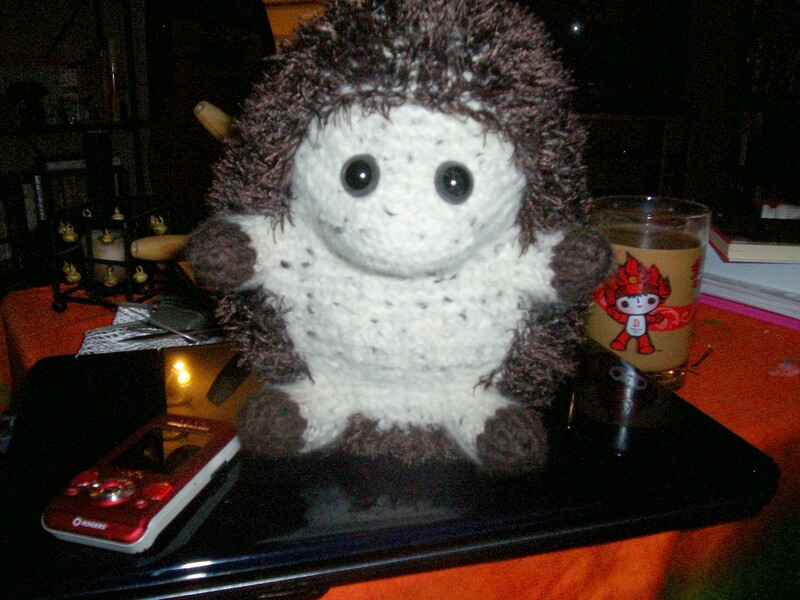 The only mod that I’m making to the pattern is cutting out of the fifth section as yarn was not plentiful (the yarn gods seeing that I had no troubles while knitting felting stuffing and sewing hedgie thought I needed to serve pennance for it. 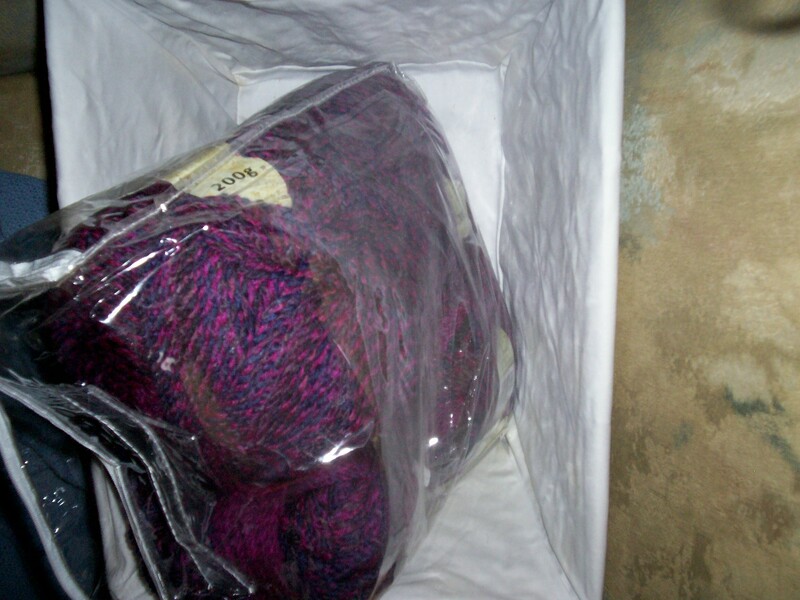 This came in the form of not enough yarn for the project when using one of a kind handspun, it was a mild setback for an hour or so). The staggered seed stitch and then alternating rib are both stitch patterns that kind of make me want to tear out my hair, in fact if I didn’t think the jacket was one of the most smokin hot knitted jackets ever I doubt I would have subjected myself to the knitting of it. But I plod on and am almost done the body (two inches to go). Note the bag of fleece needed to be carded right next to it. That bag was once so full it burst open when I attempted to close it, I would say I’m 50% of the way through carding it, but it’s going to be a while before all that corridale is ready to be spun, but hotdamn its going to be amazingly beautiful. Okay back to chapter five. Nothing says fun quite like reading about brain scans all Thursday night. I also am beyond glad that I have a fountain pen at this point, I’ve almost filled one of those 100 page ruled notebooks with notes from this book alone, my wrists are thankful, as is my sanity, happy wrists = more knitting.